Jason Connery on His Golf Drama Tommy’s Honour – Yes, He’s Sean’s Son! Jason Connery’s work as a film actor, writer and director is his passion, almost as great as his passion for golf. 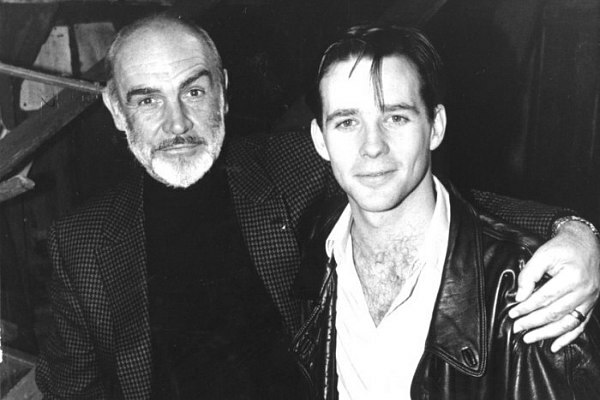 Filmmaking is his heritage; Sean Connery is his father and his mother is the late Australian actress Diane Cilento. 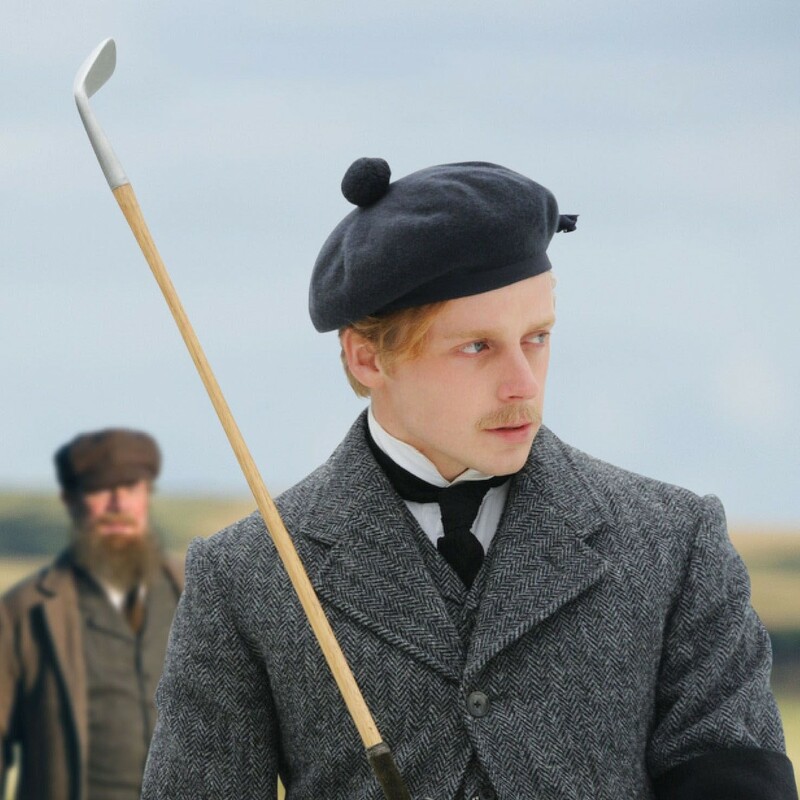 So Young Connery married golf and film in the fact-based Tommy’s Honour, starring Jack Lowden and Peter Mullen. 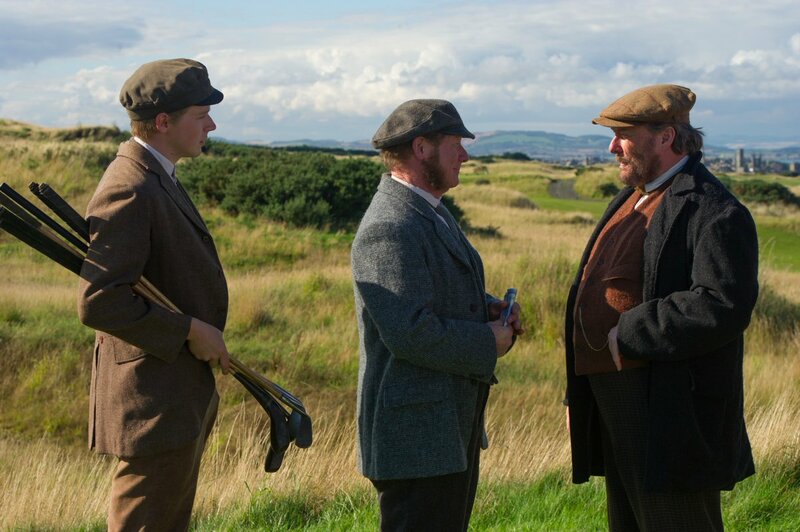 It’s the story of Tommy Morris, the first professional athlete who put Scotland’s legendary course, The Royal and Ancient Golf Club of St Andrews on the map in the 1840s with his flamboyant wining style. Young Tommy rises as the club’s leading player, drawing spectators from around the world. “Old” Tom Morris, his overbearing father, is traditional and hidebound, a servant to wealthy golfers who expects nothing, while Tommy demands money and respect. It’s a remarkable story. We spoke with Young Connery in Toronto. Did you make the film in part to honour your Scottish heritage? I absolutely love Scotland and grew up there and went to Gordonstoun right up in the far north. I started acting in Perth in a rep company and I have a cottage 2.5 hours from St. Andrew’s. I have memories of my father playing pro celebrity golf tournaments there and at Gleneagles. Yes I’m a strong golfer but the sad thing is that if my film career is in the toilet, my golf career is great and if my golf career’s in the toilet, my film career’s great. It’s a double edged sword. The only real way to do it all is to get up at 3 am and then play and then have your day! Golf is a lifelong obsession with some people, an addiction! Don’t you find it funny when you’re playing, you’re not thinking? You look at that hole and you hit the ball and it goes in and you think the game is so easy. And you start playing well. It’s all about the five and a half inches between your eyes and the ball. People think knocking a ball and getting it into a hole must be incredibly easy but I and many others get it into our heads. There is a meditative element that clears your mind. Jack Nicklaus talks about right before he shoots, he has the image of a book and he turns the page and its blank then he hits the ball. I mean, I don’t swing over my head, don’t swing too hard or fall over and break my leg and then I’m wondering about paying my taxes and did I leave the gas on! Young Tommy is working class, tolerated by his wealthy employers only because he brings the crowd with his flamboyant game. But he breaks the barriers of propriety and demands money and respect. Outrageous! I found a quote that says everything new idea begins as blasphemy. If I said to you I’d like to start this electronic mailing system, let’s forget snail mail and send word electronically through the air. You’d say are you nuts? Stop smoking that stuff! And basically that’s what Tommy was doing was changing the status quo. He says I have a sense of my own worth and I’m not being paid enough. You don’t agree with me? Fine. I won’t play. Everyone was coming to St. Andrews to see him play. He was the first of the modern athletes who get looney tunes money. And for me people who love sports it’s tough to get a season ticket. Young Tommy was exposed to the world beyond Scotland. Did that loosen his ties with tradition? We didn’t go into his schooling in Edinburgh but focused more on the idea of the international influences he had. French haute couture was just arriving from Paris for women and men, the industrial age was arriving, there was much better transportation and it was a time of change. Tommy was the first touring sports professional and he was the first person to say he’d like to play golf for a living. Before golfers would do other things, like Old Tom designed golf courses and made golf balls and clubs in his shop, which is still there. Tommy said I don’t want to do those things. At the base of everything in the film is the father and son relationship. For me the father son relationship is complicated. The love is always there, it’s like I was to my father and how my 19 year old son is to me. He thinks he knows everything and he’s looking at life with that perspective. Being brought up as a son to my father had aspirations and ideas and made knucklehead decisions that I thought were right. As a father you have to allow your child to make their mistakes even though watching someone in pain if horrific. It’s a tough one and Old Tom really was part of the old world, he lived in the status quo and Tommy asked why. He was just good at what he did. He found it easy to play golf. I always look at him and Tom who was the type of guy who worked hard at it and acquired skill but Tommy had the skill. It wasn’t work for him. Letting go was easier for him; he told his dad golf was your game, not mine. It’s very true. Tom was thinking of legacy but life was wrapped in a passion for the game and Tommy’s wasn’t. I wonder what he would have done with his life. Tommy came by it easily with his wife by his side and he had the foundation of many opportunities. That made everything more tragic. Whenever second or third generation filmmakers emerge its always interesting to know if they chose the same industry because of its familiarity or because of innate genetic talent. I’m in the same line of work as my father but it’s hard to know if it is. Doctors’ children sometimes become doctors and also if a father is a doctor or a vet or marine biologist because of the surroundings and how life is formed, very often children of those people make a conscious choice not to do what their parents do. I don’t know what came first. I’m fascinated by people and hearing and telling stories, there is nothing better than when people envision and physically feel themselves there. That echo of a film may transport someone, and then my story becomes alive for them. They become invested in hearing it. That’s why I’m trying to do whatever I can to tell a story in any medium. That in essence is what excites me, people’s stories and how they got where they got and how they behaved to get what they want. We are all trying to get what we want in life. The irony is that is sometimes offered and not realised because it’s not offered the way we think it should be. It’s just all of that me, it’s extraordinarily interesting. I don’t know whether that came because of what my parents do but I was around people who are actors, actresses, producers, directors who talked about what it is they do with enthusiasm. It is stimulating. Do you miss Scotland living in the States? I now live New York after 21 years in LA. But I do have a cottage near the Borders (between England and Scotland). Strangely it’s near a town where Sevens Rugby was invented. It’s a very small cottage on a farmer’s property, the manager’s lodge and I’ve just added a conservatory. Scotland is so beautiful at the Borders. When you take the road to my place you come through and over a hill and valley opens up and ahhh! Then I look at the fields and every one is a different colour, the colours of a tartan, the yellow rapeseed, the greens and yellows depending on the season, of the wheat and grain. And they’re all squares, like tartan. Previous PostWhy Fat Stays after Diet and Exercise Next PostFun with Chris and Kurt, Richard Gere's Nerve Rattling Dinner, Three Terrific Docs and Have You Seen Dickensian? Why Not?